Top 5 Whiskies at Whiskyfest SF 2018 0 Votes Up! Top 5 Whiskies at Whiskies of the World 2018 1 Vote Up! 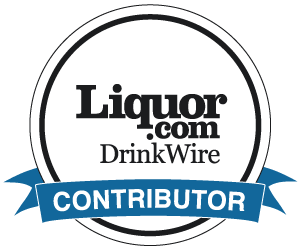 10 Top Manhattan Bars + Myer Distilling & Naren Yo... 0 Votes Up! What is BevCon? Beverage Industry Fun in Charlesto... 1 Vote Up! Where to Eat & Drink in Puerto Vallarta 1 Vote Up! Top 7 Places to Drink Cocktails, Beer & Coffee... 1 Vote Up! OKC On the Rise: 8 Top Bars Now 1 Vote Up! MEMPHIS LOVE: Top Places to Eat & Drink 0 Votes Up! Top SF Openings: March 2017 3 Votes Up! Top 5 Whiskies at Whiskies of the World 2017 1 Vote Up! Top SF Openings — February 2017 1 Vote Up! Why It’s Time to Return to Salt House, Dirty Habit... 6 Votes Up! Top 3 SF Openings – January 2017 2 Votes Up! One Night in Napa: 3 Top New Spots 3 Votes Up! 24 Hours in St. Helena 1 Vote Up! 10 Top Denver Bars + Interview with Leopold Bros.... 4 Votes Up! 10 Taiwanese Dishes And Drinks You Need To Know, A... 1 Vote Up! Journeying Through Portugal’s Douro Region 2 Votes Up! NYC: 11 Bars Worth Drinking At Now 6 Votes Up! 11 December Cocktails Around the US Now 3 Votes Up! Where To Eat And Drink In Taipei and Taichung, Tai... 4 Votes Up! The Underrated Glories of Lisbon & Porto: My Top 1... 7 Votes Up! Top 11 National November Cocktails 6 Votes Up! New Orleans: 8 Top Places to Eat & Drink Now 1 Vote Up! Top 11 National October Cocktails & 7 Notable New... 1 Vote Up! 10 Top Boston Bars + Interview with Ryan & Wood Di... 1 Vote Up! 10 Top Dallas Bars + Interview with Michael Marten... 15 Votes Up! Where to Drink Now, Denver Edition 6 Votes Up! Top 5 Whiskies at Whiskyfest SF 2016 12 Votes Up! The New Wine Bar… With Food 6 Votes Up!